Olympus today announced FDA clearance of its revolutionary Thunderbeat hand instruments and universal surgical platform. 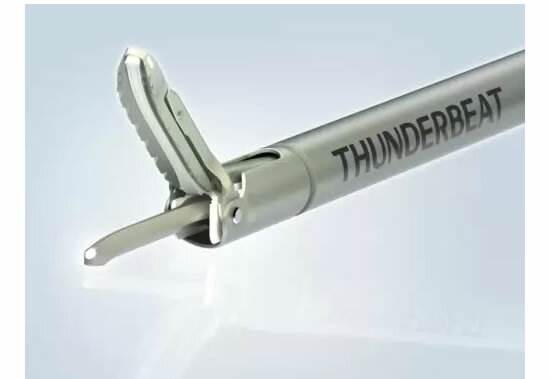 Thunderbeat is the world’s only surgical device that combines advanced bipolar and ultrasonic energies into a single multi-functional hand instrument allowing surgeons to simultaneously seal and cut vessels up to and including 7 mm in size with minimal thermal spread. Additionally, it boasts the fastest cutting speed, delivers reliable vessel sealing, and provides the highest grasping forces at the tip when compared to the leading energy instruments currently on the market. Thunderbeat, when combined with the versatility of the ESG-400 electrosurgical generator, is the only surgical tissue management system that delivers every common form of energy used in surgery today (monopolar, bipolar, ultrasonic and advanced bipolar) as well as the revolutionary combination of advanced bipolar and ultrasonic energies. Thunderbeat includes a standard 5-year warranty within the U.S.